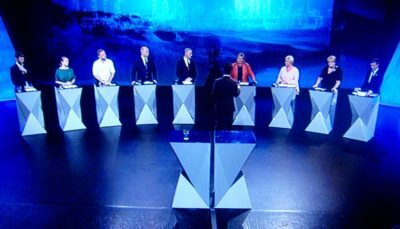 Norway’s first nationally televised political party leader debate of the season was utterly overshadowed Tuesday night by the ongoing storm stirred up by former government minister Per Sandberg and his controversial summer holiday in Iran. Sandberg’s admitted security violations both before and during the trip to Iran were repeatedly used by opposition party leaders in Parliament to cast doubt during the debate over the conservative government coalition’s position, and its commitment to improving security and preparedness. Prime Minister Erna Solberg, leader of the Conservative Party, was, as expected, put on the defensive from the very beginning of the debate that was hosted and aired by Norwegian Broadcasting (NRK). After two weeks of both a political and media storm around Sandberg, who resigned under pressure on Monday, the prime minister faced a resurgent Labour Party leader Jonas Gahr Støre, who was clearly on the offensive. The televised debate itself came after a day in which Sandberg created more chaos after first promising to hold a press conference on Tuesday, at which he would answer all remaining questions about his trip to Iran and his relationship with his traveling companion Bahareh Letnes, a former refugee from Iran with whom he is now romantically involved. But then Sandberg failed to set either a time or place for the press conference, keeping politicians and journalists in suspense until he and Letnes finally appeared in Arendal on Tuesday night. That’s where the party leader debate itself was also being held in connection with Arendalsuka, an annual gathering to discuss political and social issues. And then the purported “press conference” turned into mostly a conversation between Sandberg and two public relations advisers, one of whom has had close ties to Sandberg’s conservative Progress Party. Sandberg also used the unusual session to blast the media over its coverage of the political controversy that erupted over his trip to Iran and his admitted security violations. He’s not happy with fellow politicians either, calling the Labour Party leader “Hamas-Støre” before telling the chief of NRK to “find yourself another job.” He blamed everyone else for what many are calling “Circus Sandberg,” repeating that the only things he regretted were failing to inform the government of his trip to Iran in advance and taking his job phone with him in violation of security procedures. The combination of Sandberg’s security violations, a lack of information about what consequences they may have had, and the state Auditor General’s earlier criticism of the government’s progress in securing various public buildings in Norway “has given us a completely different focus in the public political debate,” said NRK commentator Magnus Takvam when Tuesday night’s televised debate was over. After a year that was dominated by serious problems within the Labour Party, and embarrassing revelations from the Center Party over the bad behaviour of top male party officials, both Støre and Center Party leader Trygve Slagsvold Vedum were eager for the opportunity to pounce. Both were intent on casting a much more critical spotlight on the government, and highlight its minority position. Takvam and other commentators noted that it was strategically important for Støre, and several other opposition leaders, to suggest that Solberg’s government could fall if it loses the confidence of a majority in Parliament. That can only occur, however, if the centrist Christian Democrats party also loses confidence and allows the socialist side of Norwegian politics to seize power from Solberg’s non-socialists. Christian Democrats leader Knut Arild Hareide, who long has supported Solberg but opposes her Progress Party coalition partner and not least Sandberg himself, was even pulled out of the debate by NRK’s program leader to face specific questions on whether he would be part of toppling the government over security issues. Hareide called the criticism over security lodged against the government “extremely serious,” and his party also wants more answers about whether the government mobile phone that Sandberg wrongly took with him to both China and Iran was hacked. At the same time, Hareide is acutely aware that many grassroots members of his party don’t want it to “turn left” and support a Labour-led coalition. Now that Sandberg is out of the government and also felt compelled to resign as deputy leader of the Progress Party, Hareide and his party may finally be tempted to simply join Solberg’s government itself, giving it a majority in Parliament and countering the challenges from Labour, Center and the Socialist Left parties. “I hold all options open,” Hareide told NRK. All this overshadowed attempts to also debate asylum, immigration and workplace issues during Tuesday night’s 90-minute live session. Solberg herself claimed that the opposition parties were resorting to attempts to maximize an alleged crisis within her government. Both she and Progress Party leader Siv Jensen had good reason to be furious with Sandberg, because of all the trouble he’s caused for what was his own government.They hid it well, though, claiming they could understand his own frustration. 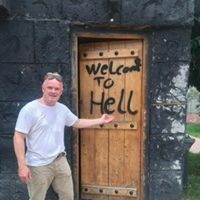 It should be noted, however, that Sandberg has faced nearly as many questions from other politicians, and not least his own party fellows over his holiday in Iran, as he has from the media. Fallout from what many are calling “Circus Sandberg” continued on Wednesday, with opposition politicians now demanding to know whether Sandberg’s phone was actually compromised and whether either Chinese or Iranian intelligence agents gained access to the information stored on it. They also want to know what damage that may have caused to national security.